Rose (DelGatto) Palermo of Acton, Massachusetts. Born on June 3, 1930 in Brooklyn, New York, to the late Ciro and Mary (Suarato) DelGatto, passed away at age 88 on October 31, 2018 in Concord, Massachusetts. Rose graduated in 1948 from Bay Ridge High School in Brooklyn and was a homemaker and mother to her five children for most of her adult life. She later worked as an Executive Secretary at E.I. du Pont de Nemours in New York and New Jersey until retiring and moving to Massachusetts in 1993. Preceded in death by her brothers, Leonard and Vincent DelGatto; sister, Rose DelGatto; and former husband, Vincent Palermo. She is survived by her sons, Vincent (Cheryl) and James (Maria) Palermo; daughters, Julie Cadorette (Jason), Mary Stone (Gregory), and Rose Palermo (Tony Castro); brother, Anthony DelGatto; sister, Rita Romano; and many beloved cousins, nieces and nephews. 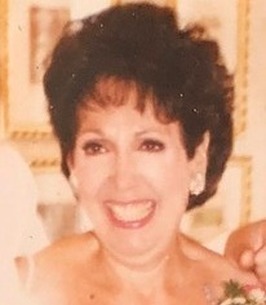 Rose had a passion for cooking, home decorating, knitting, American history, jogging, singing and spending time with her family, including her 10 grandchildren (Lynda Burgess (Michael); Lauren and Jack Stone; Anthony and Isabel Castro; and Vanessa, Brandon, Wesley, Gage and Gabrielle Palermo) and two great-grandchildren (Olivia and Aidan Burgess). She loved all the holidays, the beautiful outdoors, and the charms of New England, especially Pickety Place in New Hampshire. Those who wish may donate in Rose's name to the Winthrop Family Fund for ALS Research, c/o Massachusetts General Hospital Development Office, 125 Nashua Street, Suite 540, Boston, MA 02114, Attn: Krista McCabe. Donations can also be made online at https://giving.massgeneral.org/support-neurology/winthrop-family-scholar-fund/. Burial was private in Woodlawn Cemetery, Acton. A Celebration of Life will take place at a later date. We encourage you to share any memorable photos or stories about Rose (DelGatto). All tributes placed on and purchased through this memorial website will remain on in perpetuity for future generations. My condolences to the family and all who loved Rose. It’s so hard to lose someone we love, but the seeming finality of death is what makes it especially difficult. Job 14:14,15 gives us confidence that God yearns to bring back to life the dead who are preserved in his memory. His Word, the Bible, gives us a wonderful hope of living in a paradise on earth and seeing the resurrection of our dead loved ones. (Luke 23:43; John 5:28,29) May this bring you some comfort during this very difficult time.